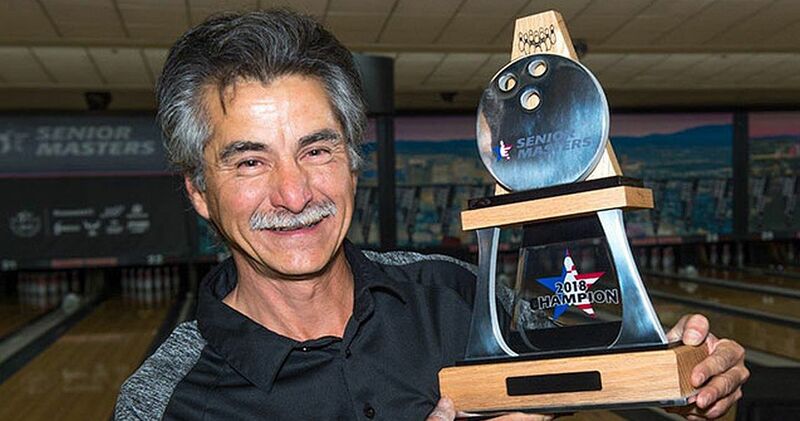 Chris Warren of Grants Pass, Oregon, has been voted as the June 2018 Kegel Bowler of the Month by the International Bowling Media Association. 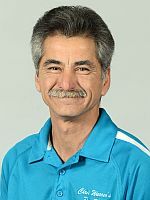 Warren defeated top seed Norm Duke, Clemont, Florida, for the 2018 USBC Senior Masters title, 269-220 and 246-241. Warren needed to win two games outright as the survivor of the elimination bracket over Duke, who was undefeated in the winners’ bracket. Duke was in 16th place after qualifying, averaging over 222 for the fifteen game block. Warren averaged nearly 224 for his qualifying games, starting the double elimination bracketed match play in ninth place. Despite the starting position, Warren lost his first round match, relegating him to the contenders’ bracket for the remainder for the tournament, forcing him to win seven matches. Then, he would have place in one of the top three places of the four-for-three elimination bracket finale. Those three would be the third, fourth, and fifth seeds in the stepladder final. Warren placed second in the elmination final, placing him as fourth seed, needing five straight wins for the title. The stepladder finals began with fifth seed Ron Mohr, from nearby North Las Vegas, Nevada dropping a 236-217 decision. Warren ousted Keith Lesko, Prospect, Texas, 234-168. Warren used a 290-197 effort to defeat Michael Haugen, Jr., Phoenix, Arizona, setting up the title match against the top-seeded Duke. Also receiving votes in close voting this month were Liz Kuhlkin, winner of the U.S. Women’s Open, Andrew Anderson, winner of the PBA Xtra Frame Greater Jonesboro Open, Chris Barnes, winner of the PBA Xtra Frame Lubbock Sports Open, presented by Ebonite, Mika Koivuniemi, winner of the Suncoast PBA Senior U.S. Open, presented by Storm, Jordan Richard, winner of the PWBA Greater Harrisburg Open, and Erin McCarthy, winner of the PWBA Louisville Open.